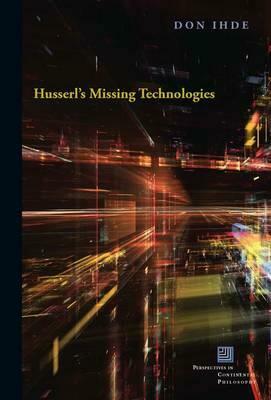 Husserl's Missing Technologies looks at the early-twentieth-century "classical" phenomenology of Edmund Husserl, both in the light of the philosophy of science of his time, and retrospectively at his philosophy from a contemporary "postphenomenology." Of central interest are his infrequent comments upon technologies and especially scientific instruments such as the telescope and microscope. Together with his analysis of Husserl, Don Ihde ventures through the recent history of technologies of science, reading and writing, and science praxis, calling for modifications to phenomenology by converging it with pragmatism. This fruitful hybridization emphasizes human-technology interrelationships, the role of embodiment and bodily skills, and the inherent multistability of technologies. In a radical argument, Ihde contends that philosophies, in the same way that various technologies contain an ever-shortening obsolescence, ought to have contingent use-lives.